Scope for elephant safari in Jaldpara Wildlife Sanctuary is really very limited but if you love wild life and passionate about jungles, elephant safari is a must do thing when you are in Jaldpara forest, for your Dooars Trip. Jaldapara is popular for spotting wild animals while doing elephant safari. It is also suggested to all first timers for a very different way of exploring the woods and the habitats of wild friends. The scope of spotting wild animals is much better in elephant safari compared to jeep safari and it is really a thrilling & adventurous way to feel the fun of jungles. An elephant takes you deep inside the forest where a jeep or vehicle won’t be able to take you. The elephant passes through the dense woods, crosses the water streams, and takes you close to a one horned Rhino or a Bison. It is an awesome feeling and sight when you see a leopard at a few meters distance or a Chital feeding her baby. Elephant safari in Jaldapara Wildlife Sanctuary is done from two locations. The safari from the Hollong Bungalow or tourist lodge maintained by West Bengal Tourism Development Corporation (WBTDC) is the better option and preferred over the safari from Barodabari Malangi Lodge maintained by West Bengal Forest Development Corporation (WBFDC). Only these two govt. bodies have the privileged of operating elephant safaris in Jaldpara. Private hotels do not have this facility, rather it can be said that private hotels are not authorized to operate safaris in reserve forests like Jaldapara. Tourists staying in Govt. lodges get the priority or advantage for elephant safari as per first come – first serve basis. Tourists staying in private hotels will have to wait and see if there is any ticket available after the tourists staying in Govt. lodges have got the passes. Very frankly speaking it is very hard to get an elephant safari ticket staying in any private hotels or resorts, especially for the safari that leaves from Hollong Tourist Lodge. The most popular elephant safari in Jaldpara forest is the safari from Hollong Tourist Lodge, maintained by WBTDC. The Hollong bungalow is located deep inside the forest and the safari takes you more deep in the jungle which facilitates spotting or sighting wild animals. Only a few elephants, say 6 or 7 goes for safari everyday early in the morning. These 6 to 7 elephants make 2 round trips depending on weather and demand. If it is high season and the demand is high, they try to manage one more round trip but it is really not possible to satisfy all. The first priority for the safari is provided to the tourists staying in Hollong Tourists Lodge. The second priority is provided to the tourists staying in Jaldapara Tourist Lodge maintained by WBTDC and the third priority is given to the tourists of Malangi Lodge (WBFDC) and other private hotels or resorts. You are supposed to fill up a form the previous evening to confirm your tickets. One has to provide Rs 600 per head for the safari. The rate is provided as of Jan, 2014, it may change with time. If you are interested in elephant safari, make sure you contact the manager of Hollong Tourist Lodge the previous afternoon or evening to confirm your tickets. If you are staying in Hollong Bungalow just let the manager know that you are interested in next morning’s safari and pay the money as required. The safari from Malangi Lodge has recently started to facilitate the tourists who do not get tickets from Hollong. It also helped the forest department and tourists department to drive some pressure from Hollong. This safari is also gaining popularity gradually. This safari also takes you deep in the forest as I have heard because I never went on this safari. I have heard that people in this safari get the sights of wild animals though I will always suggest you the safari from Hollong because staying in Hollong is the best part of Jaldpara Trip and that experience can’t be felt or enjoyed anywhere else. The cost of elephant safari from Malangi Lodge is Rs 600 per head as of Jan, 2014. Just to let you know that you will have to have the best possible luck to get a room in Hollong. The rush is too much and you will have to book the rooms 120 days in advance. Make sure you book the rooms the day it opens for booking. A confirmation of room in Hollong will bring you the confirmation of ticket for elephant safari from Hollong – the best safari in Dooars. Elephant safari can not be booked online. It can only be booked after reaching there. Make sure you ask for the elephant safari once you reach there because it is done on “first come first serve” basis. If you intend to do jeep safari, better you go for the safari that is done from Kodalbasti point. No, you can’t. you have to be physically there for this. I am planning to visit gorumara and jaldapara… To avail safaris in these two places is it a must to stay in government lodges/bunglows? For elephant safari, you must stay at Govt. lodges and you can do jeep safaris even if you stay at private lodges. We four friends are planning to stay at Mendabari Jungle Lodge from 24th to 26 th December, 2016. Is there be any chance for us to enjoy Elephant Safari, Hollong Bungalow. Since Mendabari Jungle Lodge run by WBSFDA, should we expect any extra booking facilities regarding Elephant Safari at Hollong? You can enjoy the elephant safari but not from Holong lodge (WBTDC property). 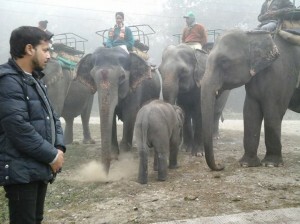 There are 4-5 elephants at Holong and tourists staying at Holong gets the preference and priority for elephant safari. You can enjoy elephant safari from Barodabari Malangi lodge which is a property of WBFDC. Your elephant safari tickets must be booked by previous day evening. I have heard even if you prebook the Holong lodge, it can be cancelled anytime by Govt. if any Govt officials visits Holong at the same day. They say even it can happen at day of staying and you will be asked to leave with full refund. Yes it can happen but chances are negligible. Don’t panic, it is juts a Govt. norm which rarely happen. It happens only if VVIPs visit like ministers and top level secretaries. I have stayed at Hollong 6 times and it never happened to me. is it possible to come from Gorumara to jaldapara and do a jungle safari in Jaldapara and return same day to Gorumara.Its ok that we might not get elephant safari at jalda para but can we get jeep safari. we have booked hotel in Gorumara so staying there only. Why do you want to travel that much to get a jeep safari. You can enjoy the same in Gorumara. There are so many towers and you can get any one of them. You can also enjoy jeep safari in Chapramari range. It is always better if you keep a reserved car for transportation. You can move around freely and whenever you need. Me and wife and my son planning to visit Dooars in December personally.plys.give me a day to day plan trips.It is may be 7days tour. You can spend 2 nights at Murti, 2 nights at Jaldapara and 2 nights at Buxa or Jayanti. In total it will be 6 nights – 7 days trip as given by you. Your arrival station should be New Mal Junction and departure station should be Alipurduar Junc. It is better if you reserve a vehicle for the entire trip. For further details, you can mail me at “uvreachedavi@gmail.com”. There are many private and Govt. lodges. You can book online. Check your inbox. I have mailed. we are staying near gorumara so plz suggest which places can be covered in two days,,and can you provide any local car rental number,,rather than gorumara safari any other is possible or not? You can cover Samsing, Suntalekhola, Rocky Island, Paren, Chapramari, Murti, Jhalong, Bindu, etc. Do you need the car for the entire trip? Let me know. Will share driver’s number accordingly. Hi Abhijit,I went to book rooms for Jaldapara Tourist Lodge at their only private agent at Holidayhomeindia at Pollock Street Kolkata. I asked for elephant safari whether preference is given to the tourist who are staying in Jaldapara Tourist Lodge. They replied only guest staying at Holong can get preference only. But if i stay at jaldapara tourist lodge there is no preference, tourist have to stand in the que like other guest who are staying in private hotel. First of all there are more than 1 authorized travel agents who can book Govt. lodges across Dooars. There is no need to book through any gent, you can book JaldaparaTourist Lodge on your own. You can book it on WBTDC website. If you are staying at Jaldapara, the best option of stay other than Holong Lodge is Barodabari Malangi Lodge of WBFDC. They have their own elephants. and I must is that if you stay at Jaldapara Tourist Lodge, you will get second preference for elephant safari from Holong Lodge. Tourist staying at Jaldapara Tourist lodge need to come to Holong for elephant safari. You can mail me at “uvreachedavi@gmail.com” for further details. Please give me the driver’s number as we require a 6-7 seater car with carrier in December for 6 days at Dooars. I am planning travel Murti from 25th (arrival) to 28th (departure).Though I initially booked in WBTDC in murti but due to unavailability of Elephnt rides options from gorumara I am planning to move to jaldapara on 26th.Where obviously hollong lodge and barodabari lodge is filled up.can you suggest any other alternative for lodging and possible options & details for the elephant ride.I would also require a good driver details for the local trips can you help.Also please share your no for the discussion. I have booked Jaldapara Tourist Lodge for the end of December 2018. What is the process of booking of elephant and jeep safari from Jaldapara Tourist Lodge. Which are the best timings for elephant and jungle safari respectively for end of December. Hello Arup! You can approach Jaldapara Tourist Lodge manager for your elephant safari in Jaldapara. It is on first come first serve basis. You can also book your jeep safari from there. I would suggest you to go for the first safari of the day. We are four person. We want to visit jaldapara forest tomorrow & do the elephant safari. We will come from Cooch Behar. So please suggest me what are the procedure. You need to stay at Govt. lodges to enjoy elephant safari. You can either stay at WBFDC or WBTDC lodges. I can help you for sure but for that I need your tentative date of arrival and departure. Let em know where are you from. Let me know how many nights you will have in hand, so that I can plan for you. We 6persons (two families) are visiting doors from 9th Feb to16thfeb.Want to book a innovative/xylo for those days.Will you please inform me cost and phn no to contact.Thank you. We are panning to go Dooars on early April,2017 and staying in Jaldapara range. 1> Is it right time to go there? 2>What are the places i should not miss to watch? 3>What would be cost for one sumo/bolero? We will be 8 persons. 4>What would be the cost for any home stay accommodation? 5>Is raimatang good place to stay in that area? 6>Can u avail elephant safari if i stay in private logde/cottege? Which safari i should plan for in jaldapara range? April is a good time to visit Dooars. If you are visiting Jaldapara, you should cover Gorumara range too. 2 nights are enough for Jaldapara. In case you don’t stay at Govt. lodges, you will not get tickets for elephant safari in Jaldapara. Jeep safari is available both at Jaldapara and Gorumara. Jeep safari is best in Gorumara. I can plan a trip for you and suggest places only when I know the number of nights you have in hand. All places across Dooars have its own unique charm. If you have time, you should include Lataguri too. 2 nights are enough for Jaldapara. What is the time for start elephant safari and jeep safari in jaldapara hollong bungalow ? Elephant safari at Holong starts from 6 am but depends on weather. If it is too foggy, they start late. Jeep safari starts from Jaldapara Tourist lodge, they give a halt at Holong tourist lodge. If you are staying at Holong, jeep safari is not worth doing. You can do the jeep safari at Chilapata which is a great experience too. hey abhijit, need to know price person for elephant safari, will be reaching on 24th sep with 10 people. It would be around Rs 660 per head. 4 people are accommodated on elephant’s top at a time. Abhijit da we are planning for Dooars for 4 nights 5 days .can we cover Jaldapara Gorumara chilapa ? Yes, you can. You can stay 3 nights near Gorumara and 1 night at Jaldapara. I have mailed you in detail. Check your inbox please. What is the cost of elephant riding and jeep safari? For elephant safari it would be Rs 660-700 per head and for jeep safari it cost Rs 1,500-2000 depending on the tower you would visit. They allow 6 persons in the Gypsy. Hi Abhijit….. We are planning for Gorumara for 2nght…..Can we cover Jaldapara? What is the rate for elephant and Jeep safari…. And what is the rate for government lodges and another hotels?? I need to know exact number of nights you have in hand to suggest a plan to you. I would need your arrival and departure stations, time and dates. Jeep safari cost depends on the range or watch tower but varies from Rs 1,500-2,000 per jeep. 6 persons are allowed in the open hood Gypsys. Elephant safari would cost you Rs 660-700 per head. Lodge rates varies with facilities and services. On average, lodging would cost Rs 1,500-2,000 per night. There are more luxurious lodges. You can mail me for further details. we are planning for Dooars for 4 nights 5 days in the next month . which area can we covered ? We book a hotel in Murti for 1 day, can u give me a tour plan for that? Rahul, you can cover Bindu, Jhalong and Chapramari frok Murti. You can stay at Tilabari to cover Gorumara forest. You can enjoy jeep safari in Gorumara. You can also cover Coochbihar Rajbari in this trip. I have mail you, please check and revert back. We are staying one night in Aranya Jaldhapara Jungle Camo. On 22nd night. We want to do Elephant Safari on 23rd morning. I understand it is very much in demand from ur posts. My son loves to experience elephant safari. Is there any way I can ensure getting the tickets. 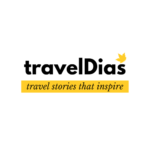 I don’t mind paying any extra service charges if any travel consultant is arranging it. Please provide yr suggestions. Let me know if you are still looking for any information. I apologize that I am late to reply in this regard. On 1st june 2017 we will start our journey.on 2nd june we will arrive coochbehar at 4.15a.m in the morning.so if we get down in njp on 2nd june and go to jaldapara national park thn how can we go? ?what time it wil take? ?thn after that can we do jeep safari in jaldapara nd can we visit chilapata? ?do i need to do any advnc booking for jeep safari? ?how to do? ?online can we do? ?what are the charges? ?after visiting we want to come bck to coochbehar by night.it is possible? ?what we can get to come bck to coochbehar?? Dear Abhijit, we are same by name but different by surname. I and my family(of three) intend to visit Jaldapara for two nights(30/09/17 & 01/10/17) and booked rooms at Jaldapara tourist lodge on that dates. I can spare one or two days more. Please suggest what are the other nearby places that can be covered in three or four night stay. I shall return to Kolkata, so the last night should be near to a rail station or an airport. With regards, Dr. Abhijit Nath. We are planned a programme with family in th last of month may. We want to cover Jaldapara,gorumara,Samsung,sultanekhola.we did not book any hotel and staying from 25-30 may.can you give me a tour programme for that. 4. 13th – Go to Buxa tiger resort (Please suggest a good hotel or lodge in Buxa) via Phuntsheiling ..
5. 14th- Do Safari in Buxa and visit Jayanti , suntankhola .. Wish I could help you earlier. Was stuck in some work. Please ping me next time you plan a holiday. Hello Abhijit, me and parents will visit Dooars in September. But we booked a private resort. Can you tell me from where we will get tickets for Elephant or Jeep safari. I planned for dooars in dec’17 along with my family & my friend’s family in between 25th to 31st.I wish to book Jaldapara tourist lodge(as per availability ).Can you tell me should I avail elephant safari ? 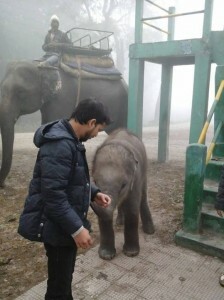 I planned this tour specially for elephant safari. Do you know the rate of elephant safari? Do you have any contact no of car?actually we also planned for Kolakham. Do you know which day the jungle remain close? please sir,answer me quickly .. Please give me some phone numbers of drivers or car owners(if you have those nos.) , since we require a dedicated 6-7 seater car in the month of December 2017 during our 6 nights stay at different locations of Dooars. I can surely help you with all booking details and connect you to the owner there. We are planning for Dooars for 4 nights 5 days in December ’17 ends. Please e_mail best plan [ 4 Familiy – 12 Members]. Also please inform tentative budget with Car Service Charges, if possible. Is it possible to ride on elephant at afternoon from hollong bunglow?? If then whts the process of booking..nd what the price of elephant safari per person.. Cost and timings in gorumara and jaldapara forests. of spotting wildlife highest? Which watchtower are the best in gorumara?? How much cost of elephant safari at malangi lodge for 5 person? Cost of elephant safari would be Rs 600-650 per head. 4 persons are allowed at a time on an elephant’s back. I booked rooms for 4 persons at Jaldapara tourist lodge on 24th & 25 the February,2018. Could I get a chance of elephant safari? Where does it start from in the morning. First priority is given to tourists staying at Hollong tourist lodge. You would get second priority and it all depends on the demand of elephant safari and your luck. You could have booked at Barodabari Malangi Lodge. They have their own safari facilities. 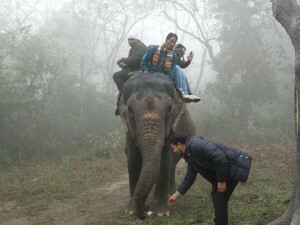 Elephant safari generally starts from 6-6.30 am but depends on weather, fog, etc. I am planing a trip of dooars for three days (9th, 10th, 11th January 2018) can it possible to visit – Garumara zip safari, Jhalong, Bindu, roki island, Jaldapar Etc. within tree days. How do I plan that which day for which spots. It’s very help full if you help me to plan for this three days. Yes, very much possible. I would like to know if it is 2 nights-3 days plan or 3 nights-4 days plan. Without your arrival and departure time/date, I won’t be able to plan for you. Can you please suggest us apart from Gorumara and jaladapara what else jungle safaris we can avail in lataguri and jaladapara. Please let me know for car/cab facilities in Gorumara. You can try Tilabari instead of Lataguri. You can stay at Tilabari and cover Bindu, Jhalong, Suntalekhola, Gorumara, Chapramari, Samsing from there. You can enjoy safari in Garumara, Chaparamari. You can enjoy safari in Jaldapara too. For safaris, you must avail the forest safari cars but for all other transfers, it is better you hire a car for the entire trip. Is that elephant safari available at Gorumara? If yes how can I book? You must stay at Govt. cottage to avail elephant safari. Stay options are Holong, Barodabari and Jaldapara tourist lodge. Sir we are from Cooch Behar. Want to visit Jaldapara n.p. n hollong bungalow. Can we reach hollong by driving our personal motorcycle…. Yes, why not. Each elephant carries 4 persons at a time. I do not suggest elephant rides anymore. It is a pain to them and the way these elephants are tamed is very painful. I do not suggest elephant rides. It would be great if you can also skip an elephant ride. If staying at Jaldapara Tourist Lodge and aiming for an Elephant safari ride from Hollong, then who arranges for the transportation from Jaldapara Tourist Lodge to Hollong Tourist lodge? Hello! Let me convey my sincere apologies for not responding earlier. Wish I could help you with details on elephant safari and for your Jaldapara, Dooars tour plan. You are doing a great job. I have got a valuable information from your block. Just to inform you that planning to visit dooars with my family (6 members) on 28th Dec, 2018 will catch train from sealdah nd will catch train on 1st Jan,2019 to return. My family interested to do elephant safari nd jeep safari.Please sugget in which station I should arrive nd what are the places I can cover. please send me a itenary and also require car for 6 members. please also suggest me a tour budget as minimum as possible. Hello! Thanks for the appreciation. I have replied to your email. Please check your inbox and revert accordingly. We are planning to go Dooars from 24th December to 29th December. On 24th morning we will reach at new Mal junction station and will be leave on 29th December from alipurduar station. During this time we want to stay at lataguri for 3 nights and 2 nights at jaldapara. Still I am not booking anything. Can you please suggest me how to plan for this entire tour. As I will go with my family ( wife & son ) can you please suggest me best accommodation details for both the place lataguri and jaldapara . Also if you have any reliable car driver name please send me. My apologies that I couldn’t reply earlier. I think you have already planned your trip to Dooars. Let me know if you are still left with any planning and need any further information. I would love to help you. You can write back to me or call me directly on 9831540384. Thanks! how many money pay for hati safari? Rs 650 per head for elegant safari in Jaldapara. I will visit Jaldapara form 12th Jan to 13th Jan 2019 and wanna avail elephant safari for 5 adults. pls let me know the advance booking system. 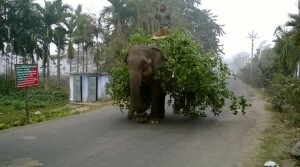 You can avail elephant safari in Jaldapara only if you stay at any WB Govt. lodge. Please make sure you book one of those lodges in Dooars. For any further information, you can write back to me or call me on 9831540384. You can book Hollong Tourist lodge through WBTDC website. You can book online. Booking opens 120 days in advance. If you stay at Hollong, you will have privilege to enjoy Elephant Safari in Jaldapara, Dooars. Can I avail Elephant safari on Thrusday Morning also from Hollong Lodge. It is said that , Thrusday Jaldapara Jungle is generally closed ? If you are staying at Hollong tourist lodge, you will get the privilege to enjoy the elephant safari. I have no information about elephant safari remains closed on Thursdays. Not sure if there is any new norm. Wish I could reply earlier but I was travelling and had limited access to internet. I think you are already on your trip to Dooars. Wish you a very happy trip. Keep travelling. Do not forget to subscribe and stay tuned.